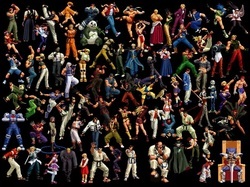 King of Fighter is a great game introduced by Soura Sarkar to me. I was totally happy when I played KOF 2011. But i was also very unhappy when I played KOF '94. My favourite player is Ralf. What is your favourite? Let me know about this. Download from here and give us the compliment how the game is.